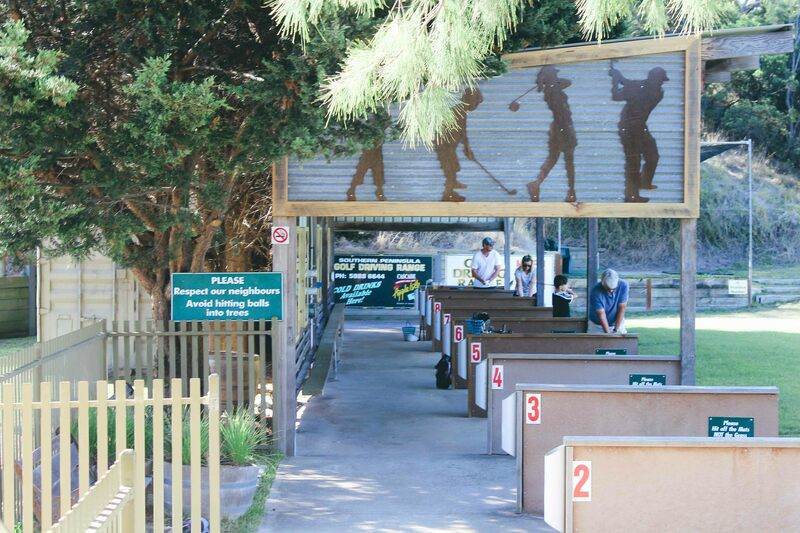 Welcome to Truemans Golf Range, the only dedicated public Golf Practice Range on the Mornington Peninsula. 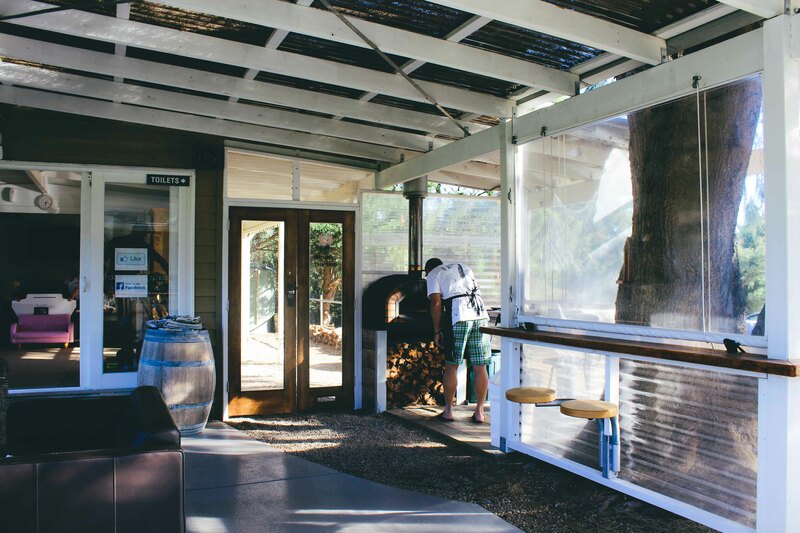 Not a golfer, that’s OK. It’s great fun to grab a small bucket of balls for a hit and a giggle with a beer or wine in hand while we make your pizza. Makes lunch or dinner an event rather than just a food stop. We serve traditional Italian style bellissimo pizzas from our wood fired oven located on our cafe terrace (you can watch us cook your pizza). If Pizza with your balls is what you are after, please always check with us (phone) as to whether the oven will be operating when you will be visiting us. Free golf club hire. Kids too! Drop in for a beer or wine, a bucket and one of our pizzas – better still, meet the partner/kids here for dinner to have a great night out. 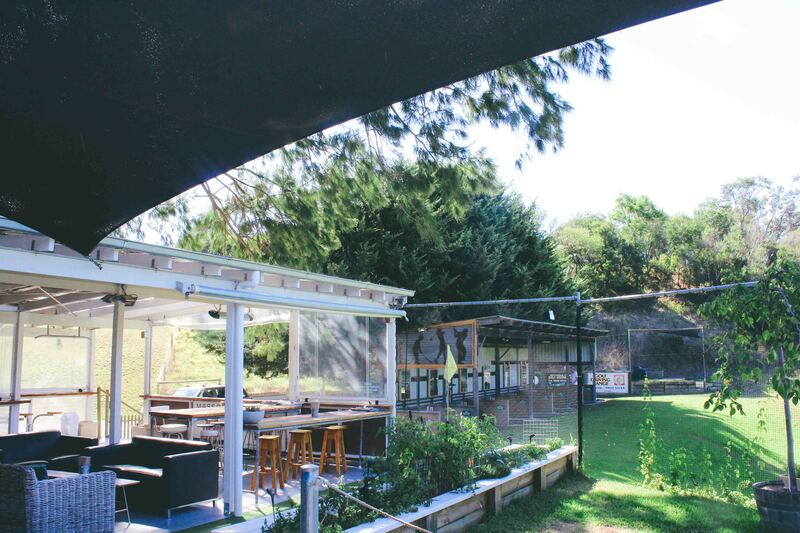 TO BE CLEAR TO BE CLEAR though…what we have been granted by the Council is a ‘secondary use’ restaurant permit and a ‘renewable limited’ liquor licence which allows us to serve ‘persons using the golf driving range or who are genuinely associated with patrons participating in golf practice’. This means we cannot operate as a regular restaurant and we cannot do takeaway or home delivery (yes, people have asked)! And if the proof is in the eating…and with pizza, it is….we reckon we’ve delivered….If you need convincing, just check out our Google reviews. PGA Professional Brian Twite was among those honoured by the Governor General on the 2013 Australia Day honours list with the Medal of the Order of Australia (OAM). At 87 years of age, Brian Twite was officially recognised for his services to the sport of golf as an administrator and mentor. A PGA Member since 1955 after coming to Australia from England, Brian was the Head Professional at the Metropolitan Golf Club in Melbourne until 1994 but still remains active at the club as a Life Member. Throughout his career he has provided advice to some of the legends of the game including Arnold Palmer, Gary Player, Jack Nicklaus and Greg Norman. However, a large part of his recognition and honour was due to the development work he did at the junior level via his Cadet and Junior Golf Scholarship Programs both locally and in regional areas. Whilst spending the majority of his career at Metropolitan Golf Club, one of Melbourne’s famed sandbelt courses, Brian has always been willing to offer his knowledge and skills further afield, volunteering at many rural golf clubs, including Truemans Golf Range. We kindly request you regard these at all times. 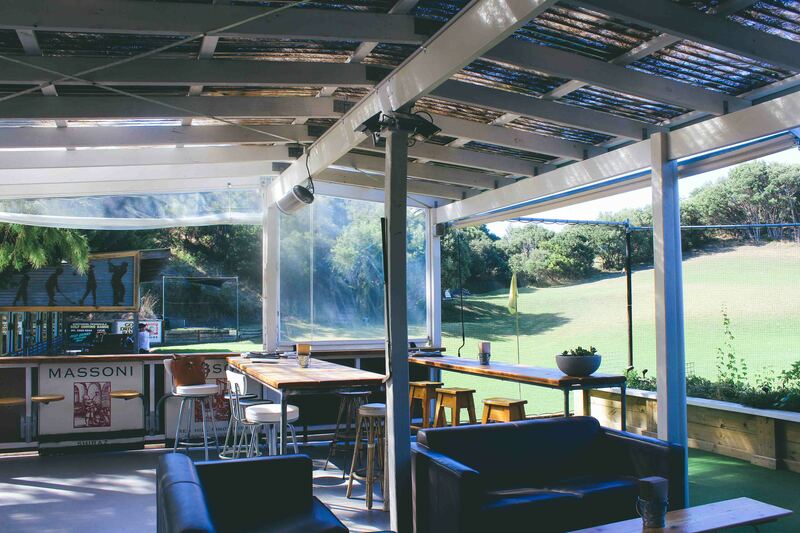 Truemans Golf Range is NOT a WIDE facility like MGA – it is a NARROW range set in a picturesque ‘cups precinct’ valley. Unfortunately, we do not have, nor are we allowed to have (council regs), 30+m high perimeter fencing preventing our balls from landing in our neighbour’s dense forest (left and right side). It is therefore a requirement that all patrons wishing to use our golf practice facility do so with the mindset that it is NOT OK to SMASH balls without any regard as to their direction or distance. By that we mean if you have a slice or a hook, please do not keep hitting our golf balls harder and harder expecting a different result. Happy Gilmores also present a high risk to everyone at the facility and so will not be tolerated. Another way of putting it is “Drive straight or don’t drive”. 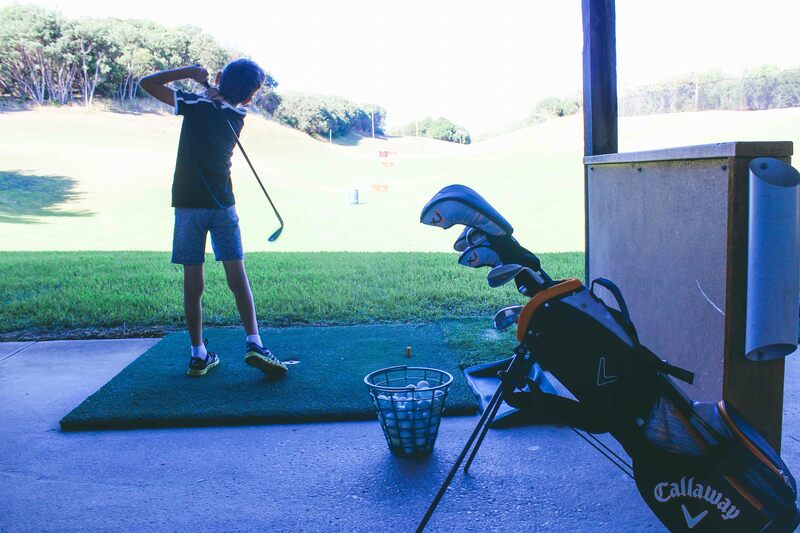 We are more than happy to help you with your swing technique – you just need to ask. 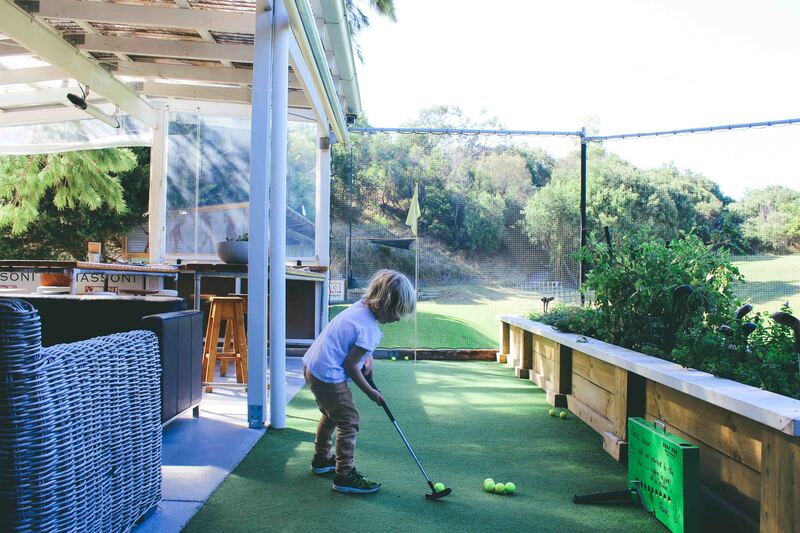 We mean to cause no offence – we simply ask that you acknowledge the physical constraints of our small golf ‘practice’ range (as opposed to ‘driving range’) and demonstrate respect to our business. 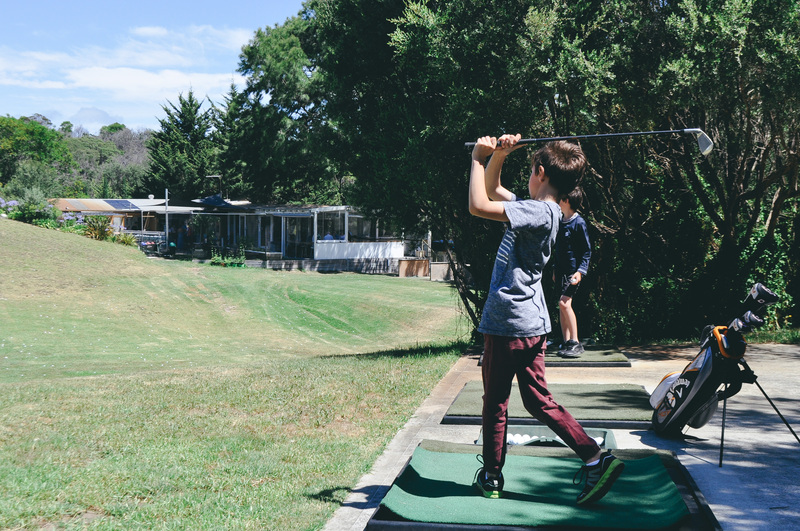 If you feel that this presents a constraint to your enjoyment, we politely suggest that you use the wider practice facilities at The Rosebud Country Club, The Dunes, Moonah Links or RACV Cape Shanck. The survival of our business depends on the retrieval of our balls on a daily basis – if as few as 10 balls from each basket of 100 disappear into the trees, we would be out of business in 10 days. (we need to pick the balls up). OPEN FOR LUNCH AND DINNER FROM GOOD FRIDAY THROUGH TO ANZAC DAY.